This vibrant rose wreath of eucalyptus, green caspia, green and lavender sudan grass, pink and mauve larkspur, fuchsia, red and yellow sinuata, silk green and pink hydrangea, and burgundy, light and dark pink and purple silk roses is hand assembled on a natural twig base in Baja California, Mexico. 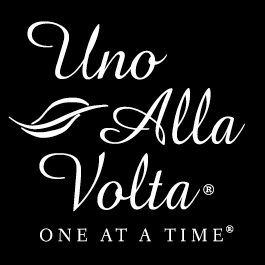 This rose wreath is handcrafted exclusively for Uno Alla Volta. 22 in. dia.